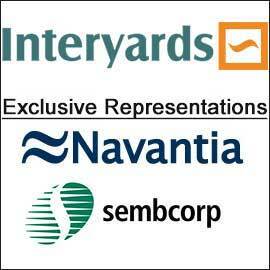 NAVANTIA REPARACIONES FERROL Estuary facilities are widely known for their ship overhaul and conversion capabilities, thanks to its great capacity for specialized work and excellent technical and human resources. units, chemical tankers and other specialized vessels. 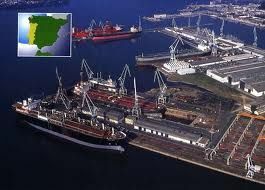 Its great capacity for renewal and steel and pipe manufacturing; high quality surface treatment (tank coating), electrical and hydraulic repairs, etc., as well as its repair workshop staffed with highly qualified workers make of Navantia’s Ferrol Estuary center one of the most important repair centers in Europe. Certified LNG repairs. Steam turbine & diesel engine maintenance. 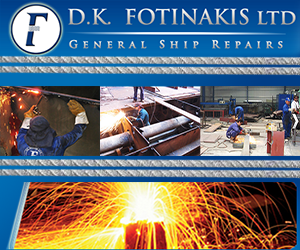 Availability of special appliances allowing blasting of hatch covers, treatment of holds and hull coating to be performed undercover. Formerly IZAR Carenas Ferrol-Fene.